Here's more proof that dolphins are smarter than dogs, cats, and maybe even babies. 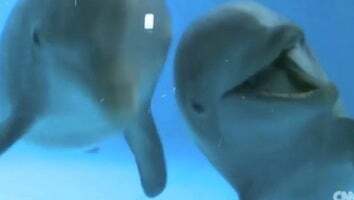 CNN visited an underwater lab where researchers watch dolphins through a two-way mirror. They don't just recognize their reflections; they love admiring themselves in the mirror.